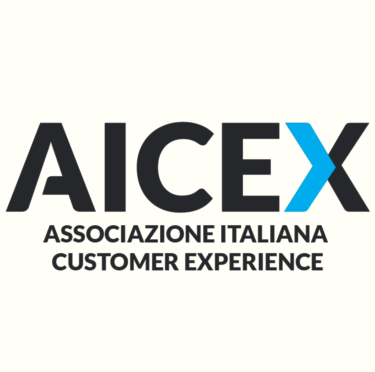 AICEX: chissà perché nelle aziende ci ostiniamo a NON fare ciò che sappiamo andrebbe fatto. Customer service, both good and bad, has a long lasting impact on revenue. Today, customers can immediately go online to voice frustrations and discontent with a brand, and with online purchases and competitor information easily available, a business’s time frame to please customers during the purchasing phase is short. It’s up to each business to make sure customers are happy at every stage in order to gain repeat business. Now more than ever, businesses need to create a strategy to build relationships that result in a lifetime of purchasing. Turn a negative experience into a positive one. While we hate to accept it, mistakes are inevitable. However, these unfavorable experiences can be seen as an opportunity to show customers why their business matters. By owning up and making up for a mistake, customers gain respect for that business and feel listened to. Take steps to make customers feel special by genuinely apologizing and offering a refund, credit or a discount towards a future purchase to make up for the error. Who doesn’t love discounts and credits? More importantly, don’t forget the next step: learn from mistakes and make changes to ensure they don’t happen again. Minimize the time and effort it takes for customers to make contact. No one likes sitting on hold for lengthy periods of time only to be redirected multiple times to hopefully reach the right department. Make it easy for customers to get the answers they are looking for by doing away with complicated automated directories and recordings, and ensuring customer service personnel are educated on how to answer any question a customer may have. Also important—make it simple for customers to make contact by having easy-to-find contact information on the company website and in multiple forms, like phone number, email address, and social media channels. Make interactions human—not robotic. Interacting with customers in a “corporate,” overly formal tone is something of the past. Customers want friendly engagements that make interactions enjoyable and not come across cold-hearted. These friendly interactions shouldn’t only occur in person, but across all interactions with customers, including emails, phone calls, and social media exchanges. By humanizing customer interaction, a business will eliminate the irritations that repeat customers might feel when reaching out to a company. Build customer relationships by harnessing a company’s knowledge. Repeat customers give businesses the advantage of insight gained through previous interactions. With technology, businesses have a history of prior purchases, requests and feedback. Businesses should take this information to build long-term relationships by making it easy for customers to make repeat purchases, have payment information on file, and set reminders to follow up when a customer’s inventory is low. Take pride in your brand and customers will too. Having a respected, honest brand is sure to create customer loyalty. It is important for a business to be consistent with their mission statement and with each customer interaction. Employees should be trained on how and what to say to customers to make them come back for more. People want to feel good and do good in their lives. If doing business with a company leaves them feeling good, it’d be hard for them to shop elsewhere.